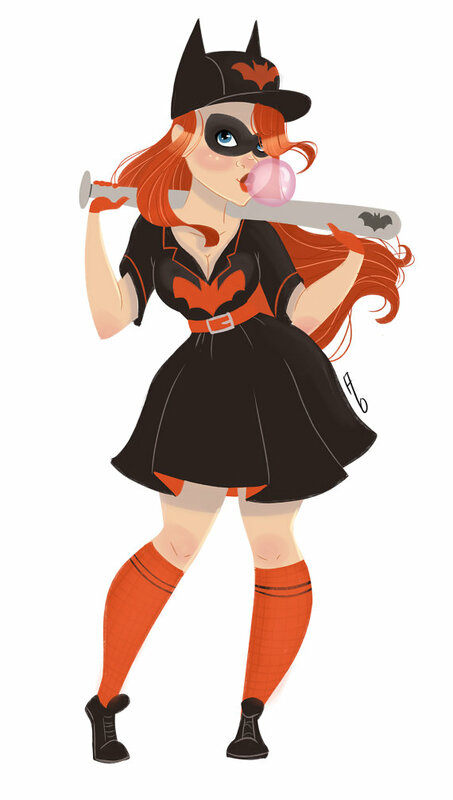 Let's look at new geek art. Such a cute series - and her style is right out of a story book! Aw yeah! And there is SO MUCH MORE, so head to Avila's RedBubble store to see the rest. This was a bittersweet moment: just as I find the gloriously rainbow-licious art of Lisa-Marie Melin, she closes her Etsy shop! Noooo! 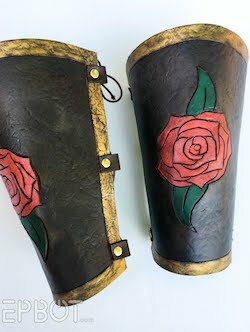 You can still follow Melin on Instagram, though, so hopefully she'll keep posting there - and maybe re-open her Etsy shop? Fingers crossed! Here's Melin's Etsy shop, btw (currently on vacation), so cross your fingers with me and watch that space! I love how these emphasize style and confidence over, say, bewbs and sultry looks. 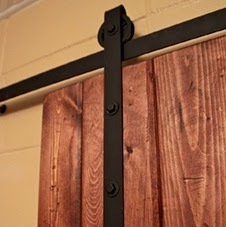 Definitely click over to Beever's Etsy shop to see the rest! Prints are just $12 through Amazon Handmade, and there are TONS more to choose from. Go see! Will I ever get tired of retro-styled travel posters? 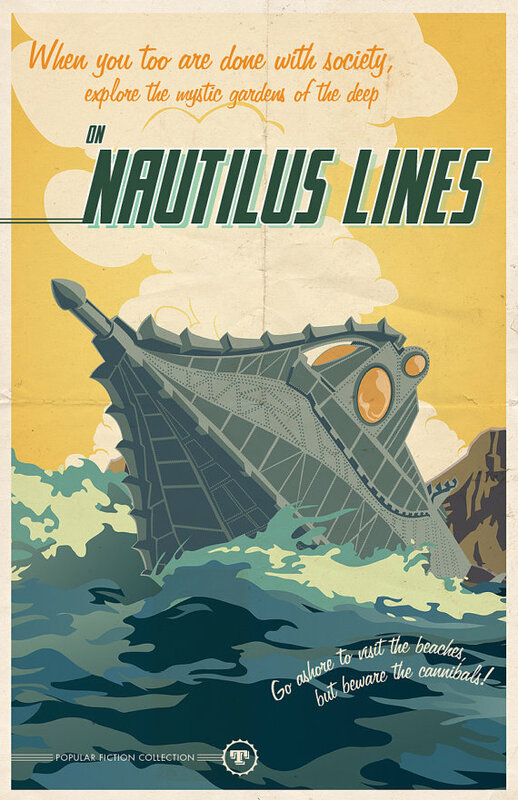 Especially if it's a 20,000 Leagues homage in awesome colors like this! Really digging his color choices. So good. Denise very sweetly donated a few prints for the give-away board, so be sure to show her some love by checking out her Etsy shop to see the rest of her work, too! Which brings me to: GIVE-AWAY TIME! So be sure to let me know in your comment if you like either/both of those, so I can enter you in those drawings, too! Internationals are welcome; I'll ship anywhere. I'll announce my randomly selected winners in a few days. 'Til then, happy commenting! You should NEVER get tired of travel posters, because they're awesome. Love these! That Lisa Frank style is awesome. 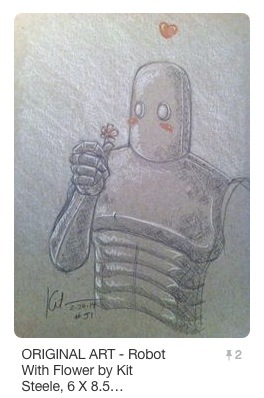 That robot with the flower is simply adorable. Love Avila's work! Especially her blue fairy/Cinderella castle print! Beautiful! I love those Disney ones! 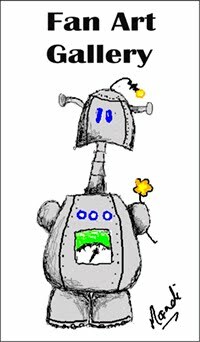 I also quite like that little robot with the flower. I love that Treasure Hunt print. It's like a beautiful I Spy game. As always I end up 'loving' new Etsy pages to follow and lose time looking at new artists. Thanks for sharing. BTW I love the Robot w. Flower. O my gosh, such adorable finds! The curvy princesses are such a great idea <3 And I absolutely adore that watercolour Cheshire Cat. He's my favourite Wonderland character, and those are just my colours. And, yes, I would love to receive anything and everything! The Joker and Harley pic world be a fantastic grad gift for a superfan I know. LOVE THEM ALL but that dapper joker and Harley are welcome to a home if my office between my tiny metal TARDIS and my wood assemble-yourself AT-AT!!! Ohmygosh, that Last Unicorn!!!! I need to go buy that now. Plenty of other amazing stuff, though! 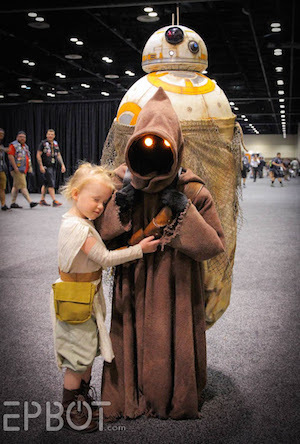 Oh, so much adorableness! And I love anything dragon on the board! So much goodness! Put me up for the Dapper Joker and Harley, too. 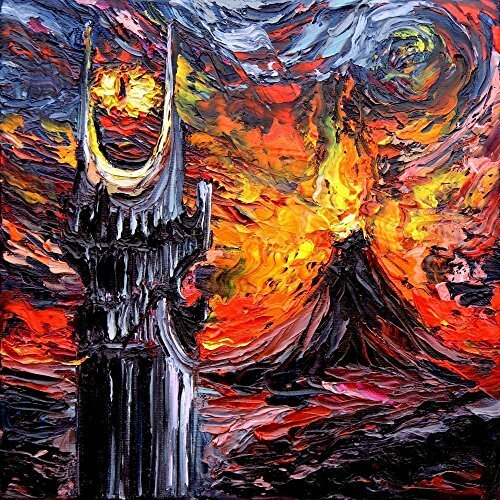 That starry night Sauron is very cool. I would also like to be entered in to the drawing for the Robot with Flower, thanks. I love all this art Jen! I'd be proud to put any of it on my wall! Those pin ups! And the starry night style works...I am in love! 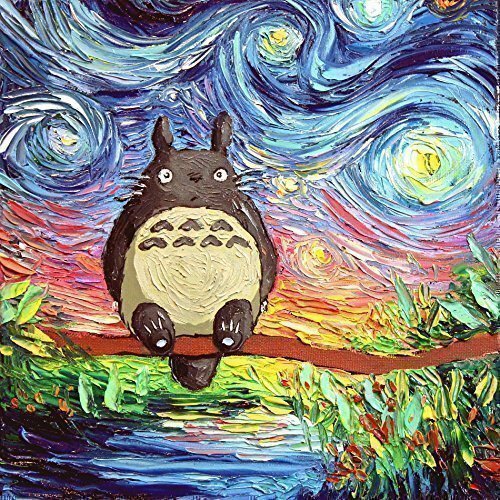 Love the starry night mashups, especially Totoro. 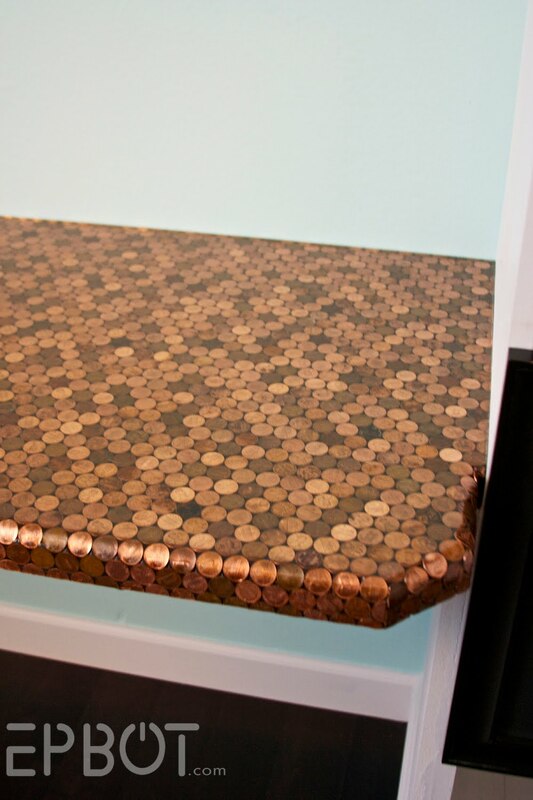 Thanks for sharing your great finds! Looooove that starry night Totoro! Jen, you must have an extra sense to find all this great art. Great art as always. Would love to be entered for the wildcard. OH!!! UMBREON!!!!!!!!!! I am in LOVE!!!!! You are like our very own art personal shopper! Everything you pick is just amazing. There's a talent in picking out good work by talented people. Always love these! 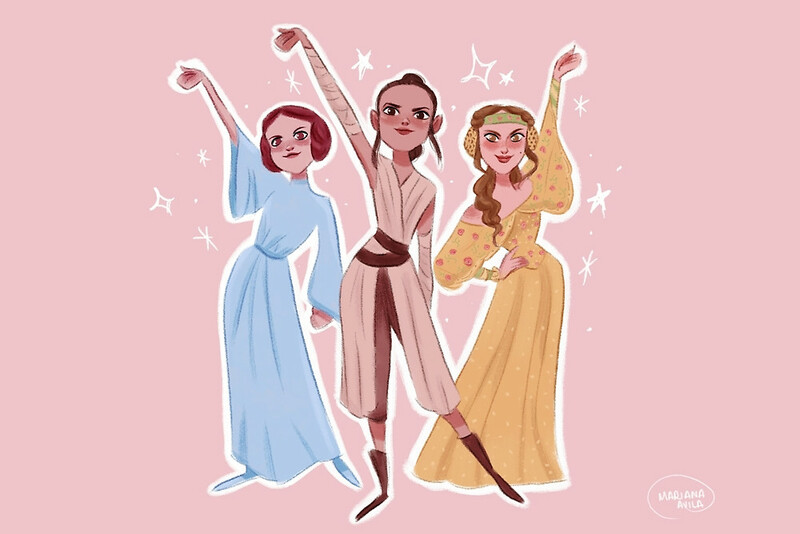 Werk it star wars ladies! Would be happy to be a wildcard or the little robot! squee! I LOVE the tardis! And the harley/joker print is fantastic. Planning a wedding (next SATURDAY EEK!) is not helpful when I want ALL of the art!!! Thanks for the chance to win! I would be happy to win any of these, including the wildcards. Do you have any more links for Sean Thornton Art? The Etsy shop is woefully under-stocked. I found his Facebook page, but there's no links to places to buy or Cons he'll be at. Hmm, I'm seeing 25 different prints listed in his Etsy shop. There are only 2 featured at the top, though, which is a little misleading - so just scroll all the way down, and you'll see the rest. 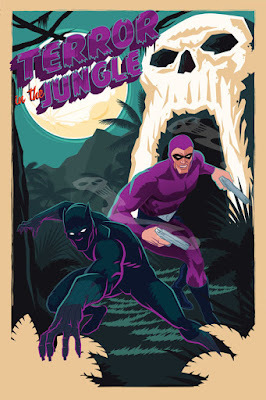 I am such a sucker for those retro travel posters - every time I see one, I want to buy it immediately! I love the Schuywalker Sisters image. sassy! and those starry night-inspired pics - wowza! Ahhh that galaxy tardis print. Swoon!! The curvy princesses are the best! And I love the robot. So much love! Enter me into the giveaway, please. The red panda made my heart explode a little! The rainbow and the starry night pieces are my favorite, but they are all great. Awesome selections! I love the Starry Totoro Night, and the rainbow images are all stunning. I'd love to win!! Squee!! Hi, all this art is so beautiful, and I would love any of it. My favourite on your Pintrest board is Enterprise Wave though; I would love the chance to win that, if you pick me. Thanks! I love the robot and would love to win. I would really like to win The Blue Box.... it is still there... one day I hope it will be mine. I love all this art, but my favourite from your Pinterest site is 'Enterprise Wave'. Thanks for giving me the opportunity to win it! 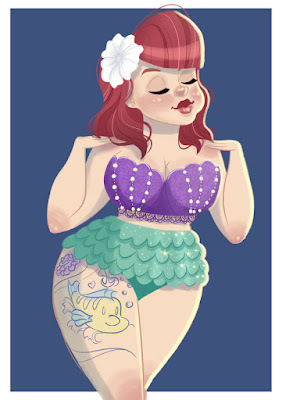 Thank you for introducing us to Denise Soden, and the curvy pinup girls, and all the other fab art! The last unicorn, Cheshire and curvy princesses are soooo good! So many pretties! Loved the robot at the end, too! I really like that bee/honeycomb one! Well, and pretty much everything else. OMG, I'm love with those Starry Night-style prints. 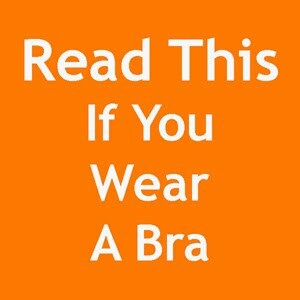 My favourite time of the month! So many pretty things, love the rainbows and the curvy princesses. The robot with flower is awesome too! Rainbows and unicorns and the TARDIS!!! Nice roundup! Those pinups are the best!! I love those travel posters! The robot with flower print is perfect. So much pretty!! Thanks for sharing all the things. Plese enter me for the pinterest board only - I'll leave the other two for others. Thank you. I literally just bought that Belle! I couldn't even wait to finish your post :) and I really like the robot picture! Since I finally scored the art nouveau Wonder woman I'd been after for a year, I'm turning my sights to Supergirl (Parnell version)! 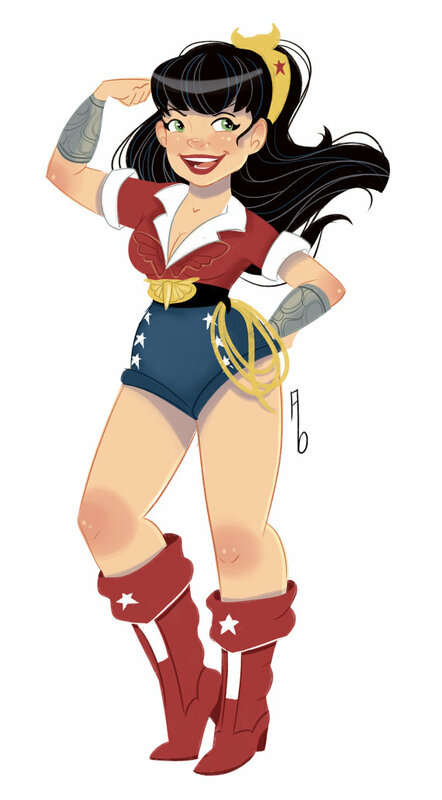 I actually got Wonder woman free, she was Nathan's last print of her (he isn't selling her anymore), and it was the display version so he just gave her to me! I offered to pay, but he wouldnt let me. I was so excited I danced in the aisle at planet comicon! This is my favorite roundup! So pretty! Who could get tired of travel posters...or those two awesome add on giveaways?!?!? Gah, those heart-shaped Disney couples are adorable! And that watercolor bee! You always find such amazing art. Another great roundup of Art! I really hope Lisa Melin decides to reopen, those are some cool pieces! Also digging the starry night themed works and the Doctor Strange movie poster. I'd like to be entered for the wildcard please! Always love these posts! So many talented artists. I love the stuff you find! The Last Unicorn one is so spectacular! Sign me up for the main giveaway, please! Please enter me for the wildcard, I would love to win Parnell's Supergirl! I love those curvy princesses! FANTASTIC finds this month! I love all of them. I think Denise Soden's watercolors would be especially sweet in a nursery or a child's bedroom. Ooh, you have some nice new ones on your giveaway board. I love seeing what you have curated for us. I wanna be a wild card! 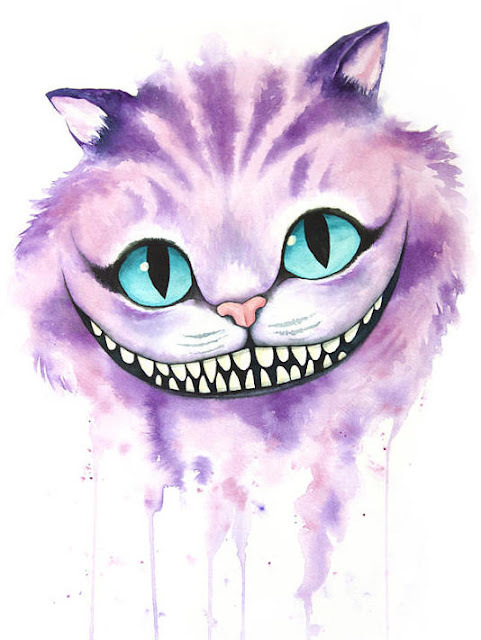 Ooooh, I would love that Cheshire Cat watercolor. Any of them pretty please! Tolkien is my #1 fandom, so that Starry Eye is seriously the best. I love all of them, but especially the watercolors... And the robot with the flower! The Starry Night inspired Eye of Sauron is unbelievable! And I'd like to be included in the Robot with Flower draw as well, please. love the tardis one!!! soo fantastic! 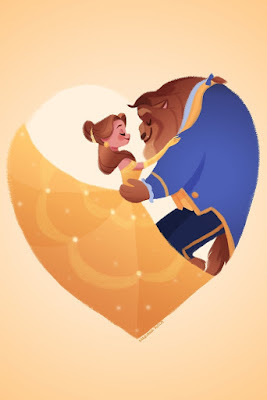 Aww, I love the heart-shaped Beauty and the Beast and the Starry Mordor! Love all of these, but really digging the Starry Night ones! So pretty! I love the rainbow Howl's Moving Castle! I LOVE the pinup girls! And also the heart Beauty & Beast. Thank you so much for the feature! These works of art are stunning and I'm humbled to be among them! Those starry night prints are amazing. I just added a bunch to my Amazon wishlist. Please put me in the drawing for the robot one. That's exactly the kind of thing my husband loves and it's his birthday today. I love that robot with flower! So cute. I would hang it in my little girls' room. 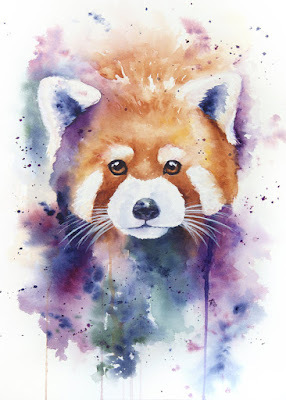 The wildlife watercolours are gorgeous, heading to the link to check it out. I love the robot with flower piece at the end of your post. Oh my gosh, my five year old's favorite movies are The Last Unicorn and My Neighbor Totoro, so those two prints jumped right out at me! 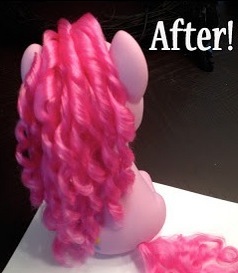 Love your roundups, so fun. Anyway, enter me in the draw, please! Fingers crossed! 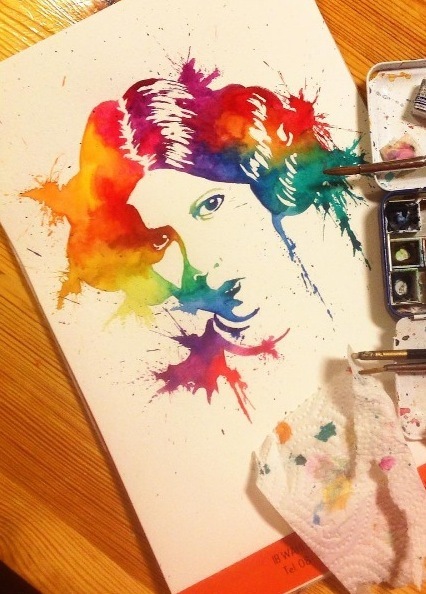 Everything is lovely as always in these round ups, but those watercolours! Beautiful! Sooo.... Much.... Awesome!! Love them all! Would love to win something from the pinterest art giveaway board!! Oops, did this on my phone and it came up as "unknown"
So much good art on your pinterest give-away board! I love the 'droids' and 'samus' prints!! 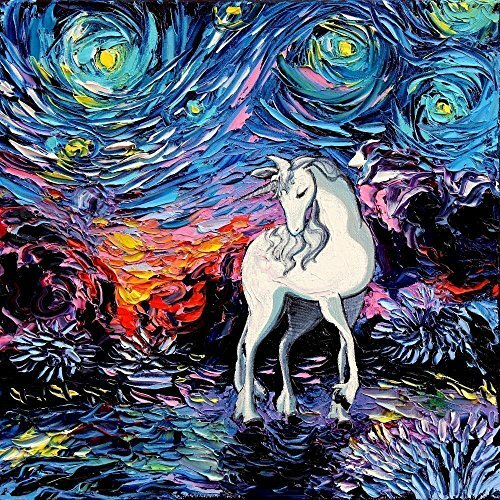 The Last Unicorn is LITERALLY the formative movie for my childhood... so that painting is giving me all the feels. I love them all. 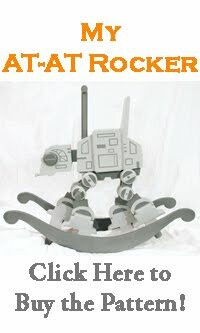 Plus, we're about to redecorate our bedroom in a robot theme! And we're adults! With no children! 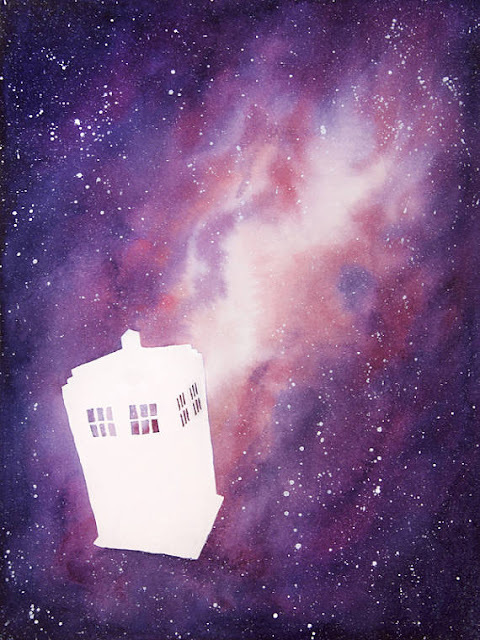 That TARDIS watercolor is amazing! I'll have to check out more of her stuff! Wild card for me, please! Though it'd be a tough choice between the new-ish Luna piece and the Anna & Elsa silhouettes. As always, awesome selection. And I'd love to be included for both the wildcards. I'm in love with that Howl & Sophie piece! And the Totoro and piranha plant pieces are amazing! Great finds as always. One in particular I think would make a great gift for my friend. Yay, rainbows and Van Goghs! I love it! Thanks for another awesome roundup. Gah, so much amazing stuff! I love the Van Gogh-esque ones. Please enter me for the wildcard draw. I love Starry Night-inspired art so I had to check out the rest of Aja Trier's work and bought a small Mordor Starry Night print. Yay! Also I love the robot with the flower! Please put me in the drawing. Thanks! So much beautifulness! I want it all! That dapper Joker and Harley are fabulous! 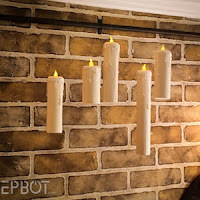 How did you know I was searching for a really cool Starry Night-style image for one of our rooms?! Thanks for the giveaway! Ack! So many pretty things! I love so much on the pinterest board, and would love to ne added into the draw, please! And the robot and Harley are awesome, too! I'd like to be entered for the robot as well, please! I love both of the extras this month :) Please enter me in all three drawings! such a great varity of pieces, i have a soft spot for starry night. there's also something very sweet about that robot. I haven't seen the Captain America war bond poster, but *grabby hands*. Also, I may have to spend money on a Van Gogh inspired Hogwarts. That tardis is breaking my brain with its awesomeness! Please enter me in the wildcard drawing. Thanks for being you. Absolutely stunning! Your art radar is perfectly tuned, once again! Loving all of the art here, especially the Starry Night inspired ones! There is so much win with Aja's art! Calvin and Hobbes! Star Trek! Harry Potter! Last Unicorn! Spaceballs! 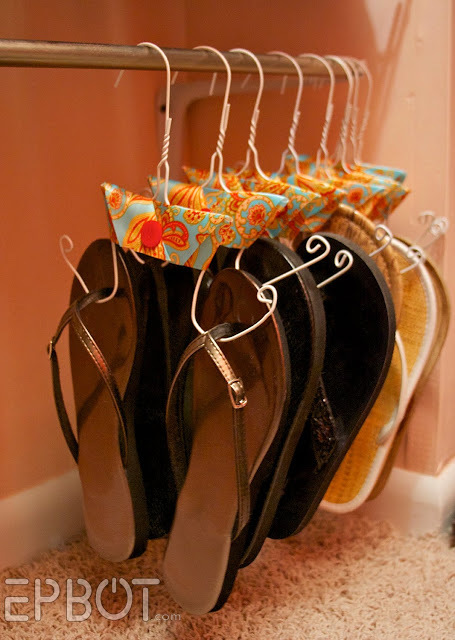 Super collection! Unfortunately a lot of Etsy shops might be closing up at the end of the month. Etsy is forcing all their sellers to either start taking Etsy payments (instead of or along with Paypal) or their shop will be suspended. Lots of sellers don't want to sign up because Etsy doesn't have a phone # you can call should something go awry with your finances. So if you have a favorite shop, I'd suggest buying as quickly as possible, just in case! I really love these posts! I'd like to enter in the wild card drawing only please. Please enter me in the drawing, Jen. I love the "Girls are Super" print; it reminds me so much of my granddaughter with her love of both princesses and Star Wars. It would make a perfect gift for her and I would be so happy to win! Thanks so much for exposing your readers to so many great artists. I always love looking through your Pinterest board and these Epbot posts. If elected... erm, Randomly Selected, I would choose the watercolor Cheshire Cat, no question. And I'm pretty sure I would prefer the Robot and Flower picture. He's in LOVE! See the little heart floating over his head? Perfection! I may have to buy the Eye of Sauron Starry night for my friend Shannon, the bee watercolor for mg friend Sydney, and one of everything in Ashleigh Beever's store for me!! This has to be my favorite round up! Excellent round up as always! Thank you for sharing these gems, because I have zero time to browse anything anymore. I always love your round up posts. So much talent! Please enter me in the drawing for the robot. Thanks! These are my favorite posts! I love seeing the wide array of talent you highlight! Thanks for sharing the pretties, Jen! 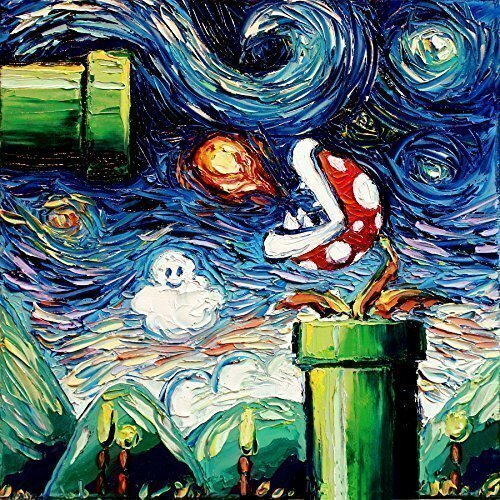 I'm a sucker for all things Totoro, so I may have to go buy a print of that "Starry Night"! Amazing roundup! I've loved the star wars/hamilton crossover for a while now. Thank you for sharing all these, and I would love to win something! Ohh, tell Denise her red panda is incredibly beautiful and well done. I need a little Mr. J and Harley in my life! That Harley and Joker one...want so badly. 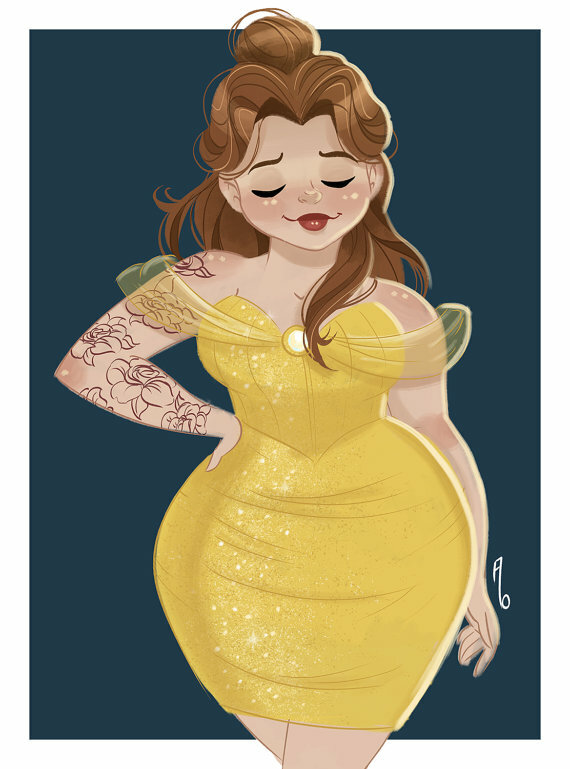 Semi-relatedly, did John end up keeping that tattooed Belle print? I know your post indicated he was a bit on the fence about it, but I don't recall seeing whether or not he kept it. The pinups/princesses in this one made me think of it. I don't know how you find these things, but you get my wallet into MORE trouble! That Last Unicorn print...OMG...Must buy. Please enter me for the wildcard giveaway. Sign me up for the wildcard draw Jen! 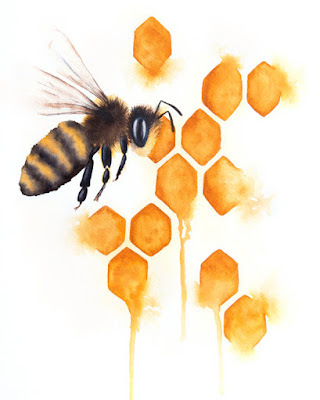 I legit squeaked at the honeybee watercolour - I'm a honeybee biologist and beekeeper and so am very vulnerable to being persuaded to buy bee-themed stuff. And that little painting is ADORABLE. Some amazing art this month. 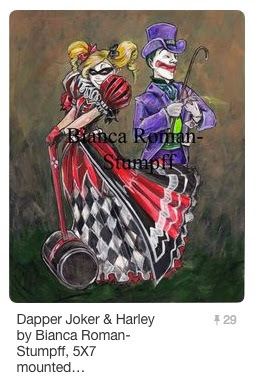 I'd love to give Harley and Mr. J a good home, or a piece of wild card art. I'd love to enter for the wildcard drawing and for that adorable robot! So much arty goodness! Please enter me for the wildcard! Such great art this month! Please enter me in the wildcard drawing. Thanks! I'm down for a wild card. I'm more of a Marvel fan than a DC fan. :D Thanks! gorgeous. Put me in for the Harley drawing. LOVE the Starry Night variations! The Hogwarts one may or may not have found its way into my Amazon cart. Please enter me for both drawings! 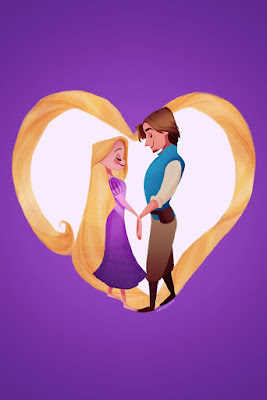 The heart-shaped Disney couples are so sweet, and I love those travel posters! Yes, please enter me into the art board drawing! Thank you!!! 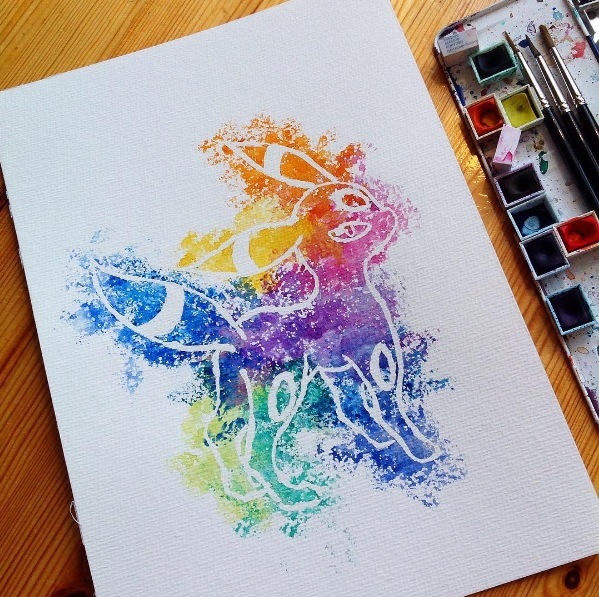 I'm a huge fan of the rainbow splatter art, too. I'll be keeping an eye out. I also love the robot! WOW ! beautiful pieces of Art. Alannah and the Gargoyle is stunning and that Boba Fett !!!! I feel like I'm seeing the Sea Creatures by Stanley Morrison for the very first time. I would love to win those for my niece and nephew. Wow! Beautiful pieces of art..Alannah and the Gargoyle & Boba Fett are stunning !!! Stitch or the Donald, Goofy, Mickey trio caught my eye. The pin-ups are amazing, and I would LOVE that Joker and Harley print!! i would love either the wildcard or the dapper joker/harley one, it's all great! I love the Chesire one and the Harley and Joker one. Would love to win anything. 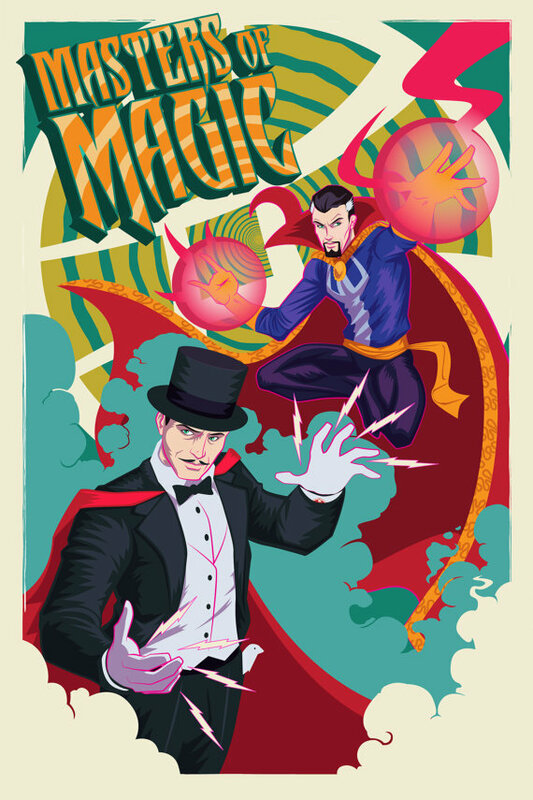 As always, I love the monthly art you show us!!!! I found the "Skywalker sisters" online last year after you introduced me to Hamilton. LOVE LOVE LOVE it! The Tiki Birds on your board is still my favorite but the new retro travel poster is sweet. The robot freebie is great too. I love Stary night paintings of all kinds! 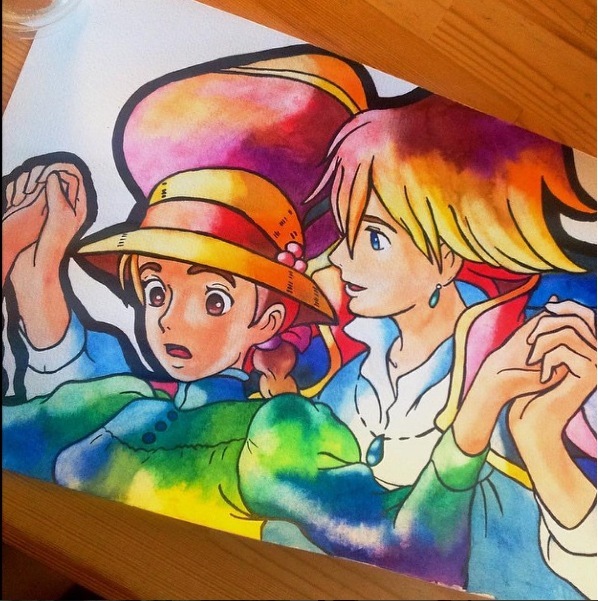 And I am totally in live with that Howl's moving castle painting. That Treasure Hunt print is so colorful! The retro prints are SO COOL! Please sign me up for all 3 drawing! 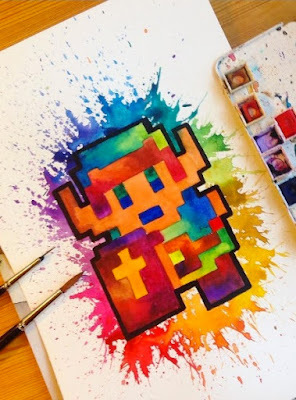 I love the rainbow 8-bit Link with a vengeance. It's so pretty! I would love to be entered in the drawing for the "Robot with Flower" print, thanks so much!